This product is perfect for 2nd-3rd grade students, ages 6-9. The cute and fun clip art makes the worksheets visually interesting and will keep the students' interest. The worksheets are focused on winter snowmen, penguins, polar bears, and winter activities. 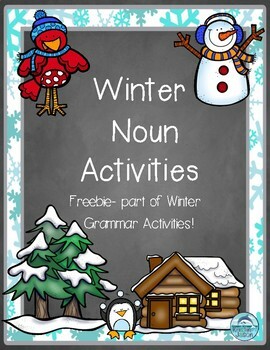 This freebie is part of my larger Winter Grammar Activities product, available in my store for $3! Follow my store for news on products, FREEBIES, and more!